Didcot and Bath do not have on train announcements for short platforms as they are going to be extended, so manual SDO is used instead by the driver. Yes, and quite a mash up for many months to come until all the extensions are complete - many haven't been started yet. There has been at least one instance of the wrong half of the train opening due to an SDO error, so the quicker they are completed the better. Facilities on the 06:48 Weston-super-Mare to London Paddington due 09:12. Will be formed of 5 coaches instead of 10 to Weston-Super-Mare. Does anyone proof read what is posted to JourneyCheck. Oh come on - I would much rather have information posted that contains the occasional blooper that makes us smile than have things proof read and checked to the extent that the information isn't made available at the earliest opportunity. Lets' forgive the JourneyCheck team the occasional funny, thank them (if they read this) for their hard work, and encourage them to provide more and fuller information ... even if there's a glitch or two. How many IET services to Bristol/Swansea are actually diagrammed as 5 car? Both the 10:01 & 10:12 services from Reading to Paddington are 5 cars and both completely rammed (I'm on the latter, leaving many behind at Reading), though neither are on journeycheck. I wouldn't have thought ANY should be 5 car but there are many and they aren't always listed in Journeycheck either. I would have thought that there might be a few individual services on which a 5 car would suffice, but chances are that previous or following workings would be likely to be overcrowded if less than 9. Should diagrams take an IET out from London 10 car in the evening peak, 5 carry on from Bristol to Weston and the other 5 return to Paddington, after which it goes on depot or to Bedwyn, that might be fine. Can 2 x 5 car IETs split / join in the platforms at Paddington? IIRC, being able to split and join at any station on the core IET routes was an "essential requirement" of the project. There may be a reluctance to actually do this at Paddington in case something goes wrong. Imagine the chaos at Paddington in the evening rush hour when an IET breaks in say platform 1 and the decision is then made to divide a 5+5 train on platform 4 to give two half units. During or immediately after the uncoupling "computer says no" Platforms 1 and 4 now blocked, and two train loads of very unhappy passengers. Yeah maybe first thing in the morning and last thing at night but as far as Bristol/Swansea services are concerned none should be 5 car but there are plenty running round at ALL times of the day at the moment that are as Broadgage rightly predicted would happen. And no this isn’t just early days running, this has been going on ever since the IETs were introduced. Maybe on some Cheltenham to London services 8 into 5 goes, elsewhere it certainly does not! I smell a rat ! I suspect that they* are trying to "tiptoe away" from the original promise that rush hour services would all be 9 or 10 car. Don't advertise short formations as being short and after a while people will hopefully forget all about the promise. Then when a full length train IS provided, this can be advertised as a "double length train, with hundreds of extra seats"
BTW, one of the best criticisms that I have heard on board one of the new shorter trains was "when they said we were getting new trains, I did not realise that they would be Virgin Voyagers"
*"they" means Hitachi, or GWR, or the department for transport, take your pick. Try all three not forgetting Network Rail. Actually I don’t hold GWR as responsible as the others. Oh mustn’t forget a fifth...the unions. 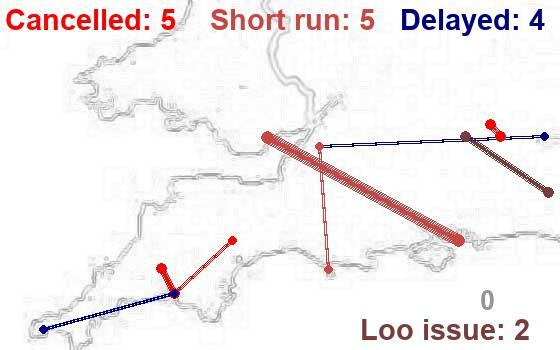 Single 5-car IETs were in the early indicative diagrams for procurement for some existing services, such as off-peak Cheltenhams, and Cotswolds. 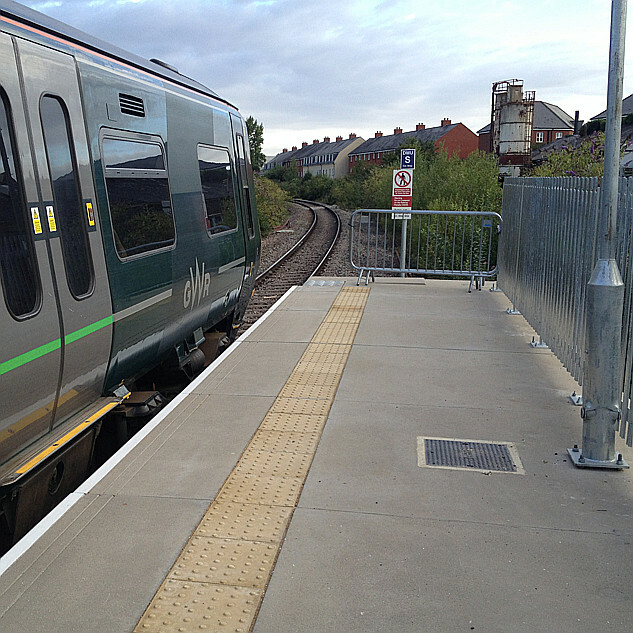 Also to be used on 'new' services, such as the no/limited stop Bristols/Swanseas, semi-fast Exeters etc. Back then of course the Oxfords would be all EMUs, the 9-cars not bimode and the HST replacement for the main WoE services was not finalised. At an even earlier stage the DfT contemplated even wider portion working imagining 2*5 cars on every long distance service from Paddington, with splits occurring at Oxford and Swindon for onward destinations, maybe sometimes even at Didcot. (Can't remember where this was imagined to happen on the WoE.) This though didn't survive scrutiny of the actual passenger flows, fortunately. Short-forming has been happening for years on GWR, but the main line services were not usually the ones to suffer first, as shortage of an HST or 2 usually fell onto Oxford/Cotswolds with a diagram becoming turbo vice HST (plus maybe some other turbo services becoming 2/3 car vice 5). Within two weeks of the 800s introduction the first 43s were off and you did not see any 5 vice 10 until the start of 2018 unless it was an issue with the staff of which five were locked out of use. I’d say between April and July were the most short forms, and I seem to feel that they have cut down slightly over the past month or so, but I can’t say it does not happen. The main issues related to short forms are currently that there are fewer HSTs than needed, there are units still being used for testing and the trains have teething problems. I personally as a whole have no issue with the train itself, yes a buffet would be nice, yes it would be nice if they were not split in half but GWR always tell me once they are fully introduced the only time I will see a short form is because of a fault with a train, or maintenance work. I believe that there will certainly be many, many less though it will still happen, and to what extent no one can say. I am from Gloucester, I am told next year when the service goes hourly that my trains will be 5 and 9 cars off peak and 9 and 10 peak. That’s enough for my line, and it also allows the 9 cars to operate most Bristol and Cheltenham trains. I wouldn’t be surprised if we see a 5 car 802 covering for a duty on my line because it is a fairly suitable train. There is an interesting comparison between the introduction of the IET and the class 345. The latter has had a very slow introduction, plagued with various problems and has a poorer failure rate than the IET, but the Class 315s have been able to stick around as necessary on the eastern side. I look at that and it looks like a standard class set up rather than first class. GWR spoiled us with the last HST first class refurb. One of the best yet IMHO. Of course Dft is responsible for IET specs so can't blame GWR on this one.